CD Genomics offers custom Taqman assays to perform SNP genotyping, enabling the identification and amplification of polymorphisms. 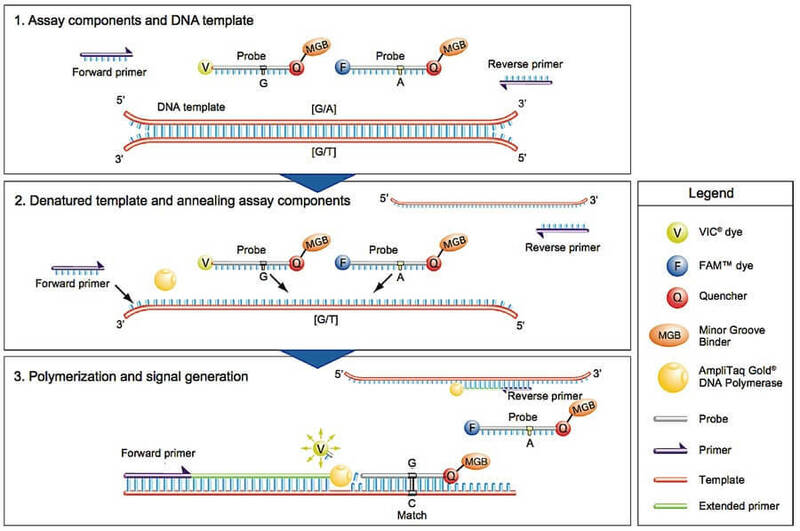 TaqMan is a commonly used SNP genotyping method developed by Life Technologies, which is an advanced, mature, validated, and widely used technology. The TaqMan SNP genotyping assay is also called the ‘‘50-nuclease allelic discrimination assay’’, each TaqMan genotyping assay contains two primers for amplifying the sequence of interest and two allele-specific and differently labeled TaqMan minor groove binder (MGB) probes for allele detection. Each allele-specific MGB probe is labeled with a fluorescent reporter dye (either a FAM or a VIC reporter molecule) in the 5’ end and is attached with a fluorescence quencher to the 3’ end. While the probe is intact, the proximity of the quencher dye to the reporter dye suppresses the reporter fluorescence. During the PCR amplification step, if the allele-specific probe is perfectly complementary to the SNP allele, it will hybridize to the target DNA segment and then get degraded by the 5’-nuclease activity of the Taq polymerase. The degradation of the probe results in the separation of the fluorophore from the quencher molecule, generating a detectable fluorescent signal. If a single point mismatch is present between the probe and the target DNA strand due to a SNP, the binding of the probe to DNA is destabilized during strand displacement in PCR, which will reduce the efficiency of probe cleavage and quenching of the fluorescent reporter dye. The assay can be performed using an ABI Prism 7900HT sequence detection system at high throughput and with low running costs. The ABI Prism 7900HT system can distinguish and quantify the two colors (FAM or VIC), and genotypes can be generated for many samples in a few minutes. 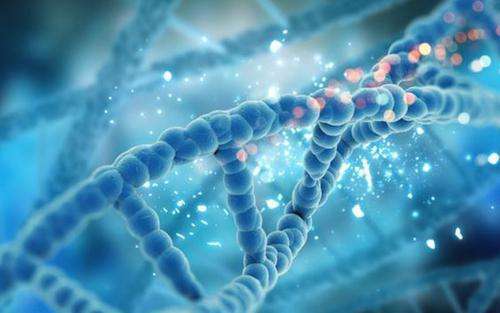 We require genomic DNA without severe degradation, with DNA amount ≥ 1 µg and concentration ≥ 25 ng/µl, the purity should have OD260/280 = 1.7~2.0. Experimental conditions including information of primer and probe sequences, reagent names, device models, protocols. Clustering graphs and genotyping tables of each SNP locus in individual sample. CD genomics offers highly trusted and flexible TaqMan technology to meet your specific SNP genotyping needs.